My girls wanted me to teach them how to make dumplings. I have been giving them cooking lessons the past several days which will come handy once they go back to University in the Fall. 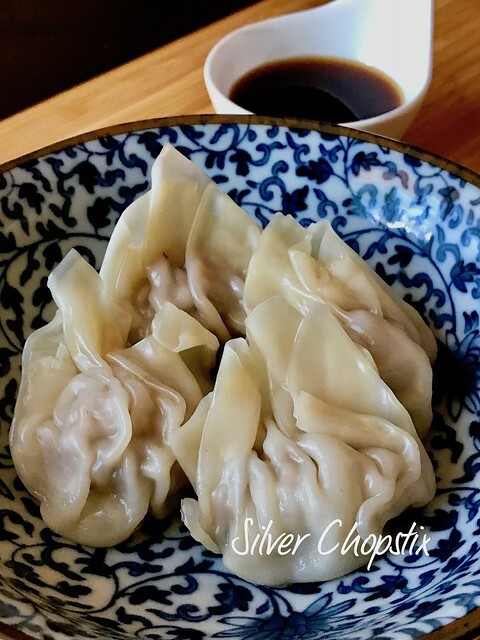 I wanted to make dumplings that leans more to the Filipino palate. So I searched the web for several recipes and came up with this. 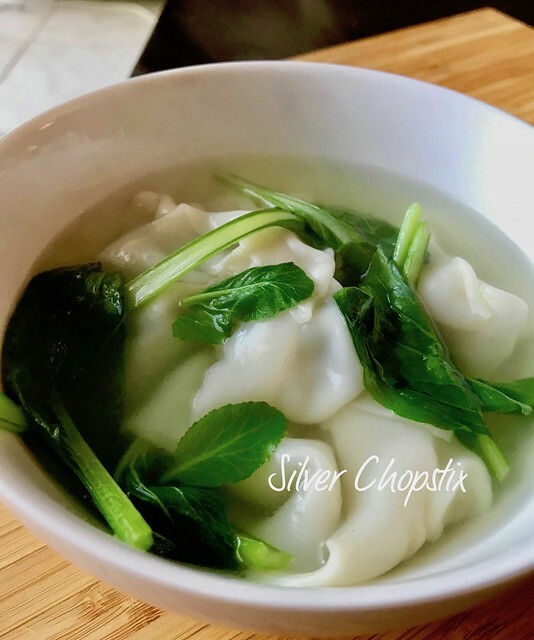 The filling for this dumpling is similar to that of the Filipino Siomai. 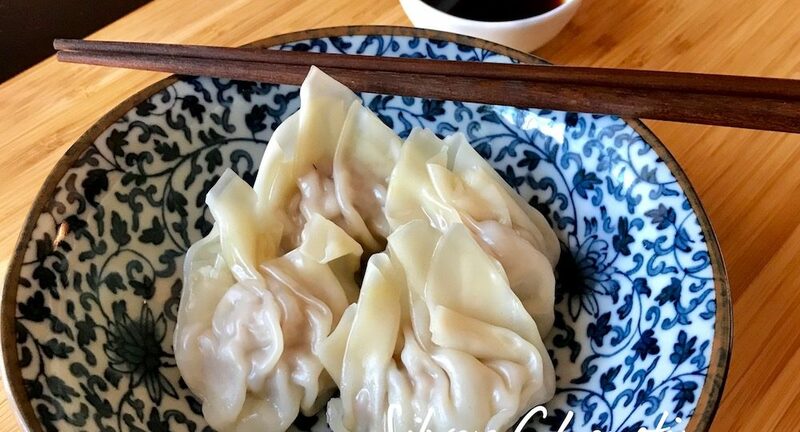 To make you will need the following: 1 lb ground pork, 1 onion finely minced, 3 stalk spring onion minced, 1 T grated ginger, 2 T soy sauce, 1 T mirin, 1 T sesame oil, 1 T cornstarch, 1 T sugar, 1 tsp salt, 1/2 tsp pepper. Place everything in a bowl and mix all ingredients together. 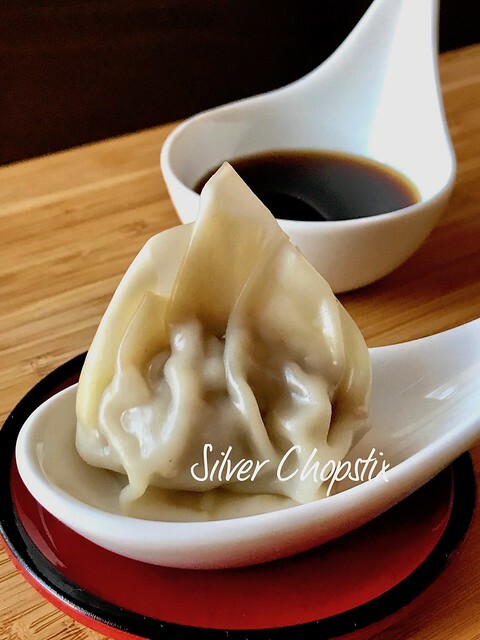 To prepare dumpling, place a scant tablespoon of your filling in the middle of your wonton wrapper. Brush the edges with egg wash. Fold the wrapper in half creating a triangle. Take the bottom left and right corner and lift it up while carefullly crunching it together creating pleats. 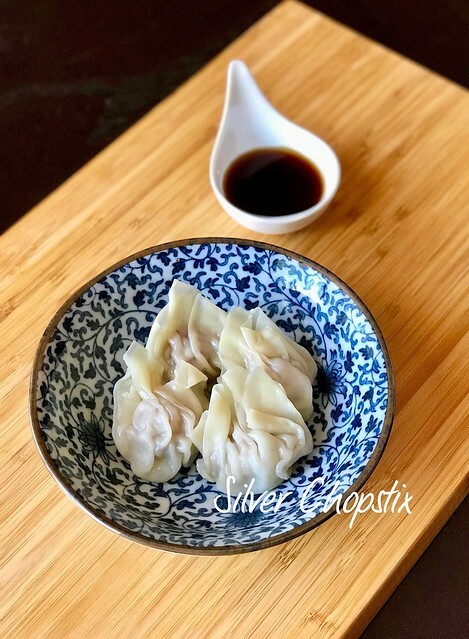 Repeat until you have used up all your wonton wrappers. 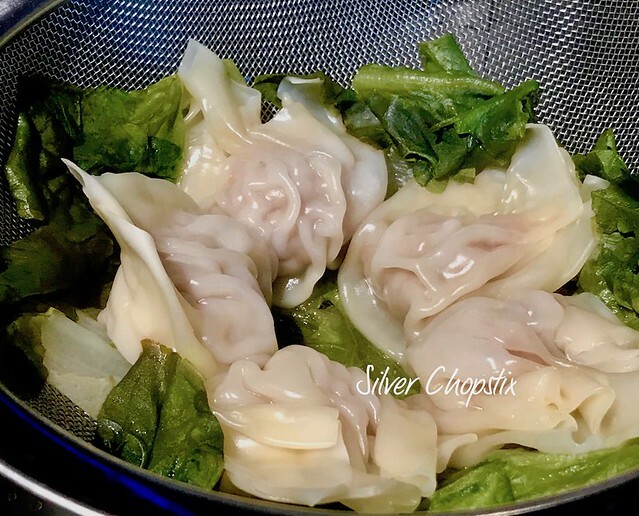 Place your wontons in a steamer and cook for 25 minutes. Served with a dipping sauce of soy and lemon. You can also make this into soup. I let 4-5 cups water come to a boil and added 2 tsp dashi no moto. Then carefully dropped several wontons and cook until it floats to the top. I also added some yuchoy tips or any greens that you like at the end of cooking.